Last October in Chicago I met some of the leaders from Bidco Oil of Kenya. Doc Hall later told me about some interesting aspects of Bidco's implementation of lean -- Gemba Kaizen in their parlance -- Maasaki Imai has been one of their guides. Following the delayed release of the 2007 General Election results, chaos erupted in most parts of the country. There were nationwide protests and an outbreak of violence seemingly driven by ethnic and perceived political affiliation. Thanks to pro-active policies and a strong fabric of cultural diversity, combined with swift decision by the management, it was business as usual at BIDCO. A committee was formed to deal with all emerging cases related to the post election violence. 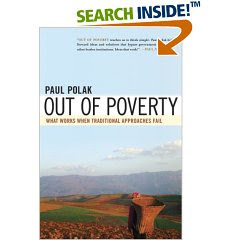 It comprised of staff from each department and of all ethnical and racial background. All the workers were asked to suggest practical solutions and responses that the employees should take in order to foster the strap line of “Happy Healthy Living”. Among the measures that the employees suggested and then acted upon were that there was to be no political talk in the offices, no talking in vernacular language in the offices or at the Gembas (places of work), No scare mongering, No sending of hate messages/emails/talk/sms etc, and No hypocrisy. All these were aimed at encouraging unity in diversity amongst the staff. BIDCO encourages openness at all levels of management by involving all employees in decision making and reorienting employees on to the organization goals. This has helped make every employee feel important and resourceful to the company. There are also clearly set out recruitment policies where the company hires staff purely on merit. At BIDCO, everything is about team work; hence employees have realized that they need each other to succeed, despite their ethnic or racial background. All this is aimed at ensuring ‘Happy Healthy Living’ amongst Bidco’s employees. Anyone's PR department could say something like this, of course, but I'm inclined to believe it. Bidco has an unusual grasp of cultural diversity, to the point where they have a deep understanding of home laundry practices among people of various tribes in Kenya and other African countries they have markets in. I'm sure the challenge was not as simple as the press release makes out, but in this uncertain world, it is encouraging to see what attention to a fair and cohesive team culture can accomplish. People who know me know that I take shopping seriously, so naturally I want to read about it. 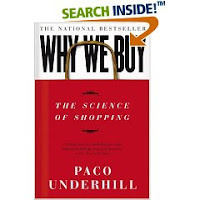 At the risk of making this blog a book recommendation site, I have to share a story from "Why We Buy: The science of shopping" by Paco Underhill. His consulting firm, Envirosell, is based on the premise that you can take the anthropological view of marketing - watch what people do when they are shopping, then use that knowledge to make it easier for them to buy your stuff. The lean view of that is that shopping and buying are part of a process. The purchase is the product of the process. So you have to go into the store and watch what happens. Underhill's observers spend hours watching and making notes, videotaping, and studying all the factors of the shopper's gemba. A company had a new line of microwave popcorn meant to appeal to kids and advertised it heavily on the TV shows kids watched. Food companies select positions in grocery stories and pay rent for shelf space, and the company assumed the parent would buy the popcorn when the kids started asking for it. So they put it on a shelf at a height convenient for the parent to pick it up. The product was flopping. A gemba video showed one reason why. A little boy was making "repeated flying leaps at the shelf where the popcorn was kept, trying to knock one to the floor. He finally got it down, but when he took it to mom, she said no. Dejectedly, he put it back on the shelf -- not where it had been, but down at his own eye level. And sure enough, the next kid who came by saw it, grabbed it and tossed it into his Dad's cart, where it remained." Obviously, a bunch of folks in a conference room make poorer decisions about how a process will work than if they go where the work is done and learn something first. The other lesson you already know -- a lot marketing people have watched the gemba and know exactly how to get your kids to make you buy stuff that's not on your list. Hello from Nashville! Today was the last day of Noria's Lean, Reliable and Lubed conference here in Tennessee. Nearly all of the 1,500 people who were here are on their way home now, but Mike and I are at the start of a road trip. So here's a quick report. Brett O'Kelley of Noria was kind enough to arrange for me to attend as a member of the press (representing AME's Target magazine), and I met Paul Arnold, editor of Noria's impressive magazine, Reliable Plant, as well as several other knowledgeable (and young) people. Noria is an interesting group. Starting out as consultants in the machinery lubrication business, they branched out into education, and extended their range of subject matter to maintenance - or ensuring equipment reliability - in general. In the last few years, they have taken the interesting step into lean manufacturing. Thus the conference brought together three different but related groups of folks. The exhibition reflected Noria's roots - suppliers of various and sundry oils and fluids, devices for filtering and treating them, and services for making it all work right. Execution of all aspects of the event was flawless, right down to Brett's presenting some of the conference center's door monitor ladies with the flower arrangements that had decorated the registration desk when all was being disassembled. Nice touch - respect for people. I was happy to see some familiar names on the lean speakers roster: Ross Robson, Richard Schonberger, Michel Baudin being some of the better known. It was a special treat to see some newer names added to the agenda - Mike "Got Boondoggle" Wroblewski from Batesville Casket Company, and Mike Thelen from Hub City (you might have noticed Mike Thelin's posts on the NWLEAN forum). I've been impressed by the two Mikes for a long time, and it was cool to actually meet them in person. They both gave engaging presentations. Be sure to ask Mike Wroblewski to explain "Think Milk." Ross Robson was very generous with his time and thoughts in several conversation with the two Mikes and me. On the reliability management track was an acquaintance from a number of years ago -- Terry Wireman, who has written numerous books on TPM, reliability and other facets of making equipment available when you want it, and working the way you want it to. Back in my SME days Terry worked with our video producers on some educational products and we distributed a couple of his books, so it was great to renew the acquaintance. And in the fluids management world, it was nice to be able to hang out with Paul Hampton and his associate, Jim (forgive me for forgetting your last name), from Industrial Fluid Systems in Warren, Michigan. Paul and I are both officers of SME Chapter One in Detroit. My main reason for wanting to go to this event is that I don't hear a whole heck of a lot from people in the mainstream lean space about maintenance and reliability. It's one of the fundamentals that must be in place if flow and flexibility are to be achieved, but in most companies, maintenance people are taken for granted. Somebody wants to save some money and it looks like you could cut a few guys from the maintenance crew, stop training them, limit the tools and technologies they have access to. Or worse, get the technologies and get rid of the people. It was the kind of gathering where you could hear about a lot of stupid things some well-known companies are in the habit of doing. And some of the smart things the smart companies are doing. On the other end of the spectrum, the straight-ahead lube and maintenance guys and gals haven't had the opportunities to learn what lean is and can do. At least here, they could walk three rooms down the aisle and sit down with the lean crowd and start separating fact from fiction. We need more ways to break down the functional silos on our manufacturing floor by sharing some education and ideas. Kudos to Noria for making it happen. Not without risk. A couple of keynotes were very revealing. We've heard about how Bridgestone/Firestone and Boeing, among others, are doing with lean manufacturing. But the stories of how they are integrating all that with maintenance and reliability have been under the radar. I've got a nice collection of business cars and face-to-face encounters so I can try to bring those stories to the surface for the general lean community. When I brought up the idea to Target editors, Doc Hall responded that we hadn't done much on reliability lately, so I'm encouraged that AME is ready to make it visible again. Now all I've got to do is the research, interviews and writing. Eventually it all comes down to the work.